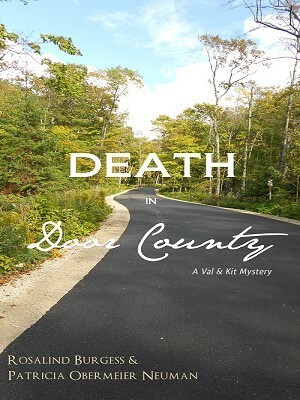 Val embarks on a Mother’s Day visit to her mom in Door County, Wisconsin, a peninsula filled with artists, lighthouses, and natural beauty. Her daughter, Emily, has arrived from LA to accompany her, and at the last minute her best friend, Kit, invites herself along. Val and Kit have barely unpacked their suitcases when trouble and tension greet them, in the form of death and a disturbing secret they unwittingly brought with them. As they get to know the locals, things take a sinister turn. And when they suspect someone close to them might be involved in blackmail—or worse—Val and Kit do what they do best: they take matters into their own hands in their obsessive, often zany, quest to uncover the truth.